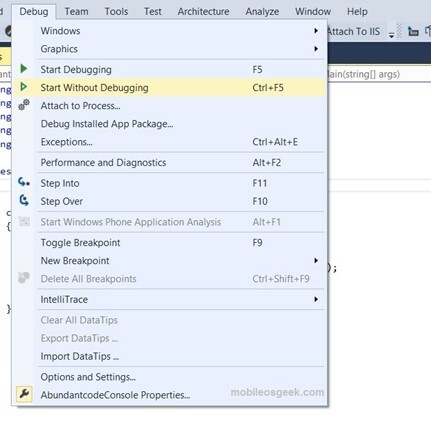 This trick is applicable not just for Visual Studio 2013 but also for the previous versions of the Visual Studio. By default, when you run a Console Application in Visual Studio by pressing the F5 key, the output or the console window closes quickly before you actually get a chance to read it. One of the simplest way to solve this issue is to use the Console.ReadLine (); placed at the end of the Main method. 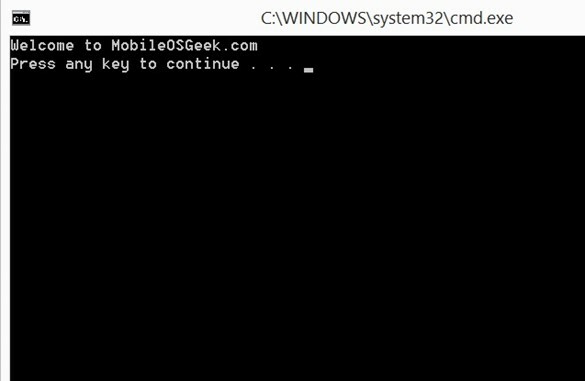 One of the other technique which works without using the Console.ReadLine is using the Start without Debugging option. When using the Ctrl + F5 (Start without Debugging), the console window appears but it would wait for the key press for it to close.